The financial cost of racial discrimination in America is real. Systemic and institutionalized racism has contributed to a disparaging wealth gap amongst the African-American community. On October 17, 2018, the Harlem Business Alliance (https://hbany.org/) will host the Black Economic Empowerment Breakfast (https://blackeconomicempowermentbreakfast.splashthat.com/) at MIST Harlem (https://mistharlem.com/). 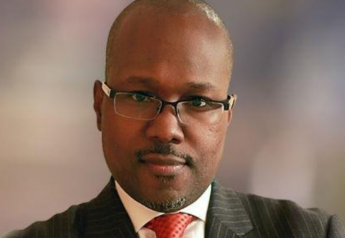 The forum, which will be led by financial literacy expert and author of The Black Tax: The Cost of Being Black in America (https://blacktaxed.com/) Shawn D. Rochester will explore the obstacles that African-Americans have faced in accumulating wealth and the appropriate economic response from personal, policy and business standpoints. “When it comes to accumulating wealth in America, there has never been a level playing field for the Black Community. We are calling on community leaders, influencers and entrepreneurs to rally their base, and join the Harlem Business Alliance (www.hbany.org) (http://www.hbany.org), at the upcoming Black Economic Empowerment Breakfast. Our guest speaker is noted author, and financial literacy expert, Shawn D. Rochester,” says Regina Smith, Executive Director. · For every $100 in white family wealth, Black families hold just $5.04. · More than one in four Black households have zero or negative net worth, compared to less than one in ten white families without wealth. · Black applicants were rejected at more than double the rate of white applicants on all types of loans, including conventional mortgage. The Harlem Business Alliance has been on the front line, advocating for Harlem, and the Black community at-large as it relates to education, equity, programming, entrepreneurship, preservation of culture, technology, and groundbreaking signature events including opportunities in cannabis and now, the Black Economic Empowerment Breakfast. According to Smith, “The systemic and institutionalized racism stemming from centuries of slavery and the Jim Crow era continues to have a devastating impact on our community.” Forums like the Black Economic Empowerment Breakfast are needed so that we can be reminded about how we arrived in this condition and the urgent need to develop solutions to reverse this alarming trend. Social media hashtag to follow the breakfast conversation: #theblacktaxed. For media inquiries, contact Karen Taylor Bass, 917-509-3061, kt@taylormademediapr.com.